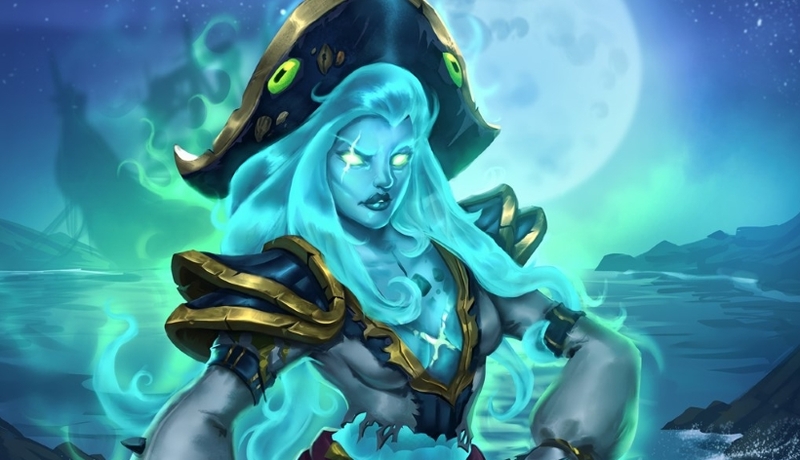 Our Tempo Rogue deck list guide features the best Rise of Shadows deck list for Season 61 of Hearthstone (April 2019). Our Tempo Rogue guide also contains Mulligan advice, card combos and strategy tips. Tempo Rogue is a Hearthstone deck concept that isn't new to the game by any means, but has seen its popularity rise and fall between expansion sets and yearly cycles. Now, with the release of Rise of Shadows, it’s become a top tier deck once again and a favourite pick on the ranked ladder for players looking to climb to Legend. If you’ve not had experience with it before, the idea behind playing this kind of deck is to begin fielding an aggressive collection of minions onto the board at the very start of a match, and then slowly snowball an overwhelming threat against the opponent while getting the most value from every single one of your cards. You’ll often finish with a nice chunk of burst damage. In our Tempo Rogue deck guide, we've highlighted the best deck list seeing play for this archetype right now, and provided a basic overview of the strategy involved in playing it. We've also added in some basic Mulligan advice which should help you start each match on a strong footing and also listed all of the card combos that power the deck - study these carefully to get a feel for how all these powerful cards come together. Tempo Rogue is not quite as aggressive as a pure aggro deck, but instead favours clearing off enemy minions, establishing a strong board, and then finishing off your opponent with a chunk of burst damage. It’s basically a slow and steady increase in power that, if left unchecked, can storm into a lead and finish the game in no time. There are also a number of exciting utility cards in the deck that give you multiple routes to your win condition and allow you to exploit the class’s unique mechanics, such as combo cards and minion bouncing. Rastakhan’s Rumble’s powerful Raiding Party spell plays a large part in the deck’s success, while the new Rise of Shadows set also introduces a handful of value-oriented cards that enable you to stretch a lead over your opponent. You’ll want to establish a board presence with your early game cards and remove your opponent’s minions with sensible trades, Backstab and your hero power. Elsewhere, look to steal some of your opponent’s card using Blink Fox, as that can enable the powerful effects from card such as Underbelly Fence. If you can drop a big Edwin VanCleef on the board you should always consider that option too. Maintain control of the board and start pushing for damage where you can. Aim to nick more cards from your opponent and use them if they’re helpful or hold them in hand to buff your other cards. You can draw some extra resources using Raiding Party and then make big tempo plays will your Pirates. If you equip Waggle Pick you can get Dread Corsair onto the board for free, for example. Follow that up with Captain Greenskin and your weapon can be a serious threat. If the game’s not already been won you’ll be hunting for your last burst of damage – most likely through Leeroy Jenkins. If you didn’t have an opportunity in the early game then now is the time to go for a large Edwin VanCleef as well. You’ll probably want to consider using Eviscerate as some finishing damage rather than minion removal now as it can offer some serious burst to win the game. 1. Play like a control deck for the opening few turns, using removal and your hero power to keep their board under control. 2. Try to stake your claim for the board early too with cards such as Underbelly Fencer and Blink Fox. You Lackeys from EVIL Miscreant can also be good here. 3. Setting up a huge Edwin VanCleef can often be too much for an aggro deck to handle, or they’ll be forced to waste too many resources clearing it off. 4. Racing is a viable strategy against some aggro decks, especially if they rely more on damage from hand instead of building a strong board. 1. Become the aggressor: you’ll be looking to eliminate them before they can start to take control of the game. 2. Be careful of pushing too hard and over-extending into a board clear, though. 3. You do have multiple resources to refill your hand if you’re struggling to hold onto a board presence, including card thieving options and Raiding Party. 4. You might struggle against larger minions, but with weapon buffs and removal spells you should be able to handle one or two if needed. 5. Hold onto Acidic Swamp Ooze until you can destroy their most powerful weapon, as control decks tend to run a couple. 1. Blink Fox: Great value three-drop that also copies one of your opponent’s cards so you can activate the effect on some of your other minions. 2. Raiding Party: Invaluable card draw in the deck that can give you most of your Pirate package in a single play. 3. Backstab: Can outright kill or weaken early game minions for zero mana. That’s value. 4. EVIL Miscreant: Another decent three-drop. The extra Lackey cards it gives you can be very useful too. - When you have a card from another class in hand, Underbelly Fence gets a strong buff and Vendetta becomes a four-damage removal spell for zero mana. Luckily, the deck is full of ways to steal cards to ensure these added bonuses can always be activated. - Preparation reduces the cost of the next spell you play by three mana so you can use this to Combo with Raiding Party immediately or cast Eviscerate for free. - Look for ways you can return friendly minions to your hand with Shadowstep so you can play them again for their powerful Combo or Battlecry effects. - When you cast Raiding Party you’ll always draw a copy of Waggle Pick from your deck alongside two Pirates – some of which can synergise very well with the weapon. For example, Dread Corsair will cost nothing to play when Waggle Pick is equipped as it’s cost is reduced by the damage on the weapon! - In order to make the largest Edwin VanCleef possible, see how you can combine you zero cost spells with other minions and bounce effects to build up your pool of played cards. - Shadowstep and the Deathrattle effect on Waggle Pick are both perfect to use alongside Leeroy Jenkins so you can replay the minion on the same turn for some surprising burst damage. Backstab: A free answer to the majority of early game minions and an excellent combo activator. Preparation: Powerful discount card for some of your more expensive spells that essentially allows you to cast them for free to gain a huge tempo advantage. Underbelly Fence: With all the cards you can steal from outside your class you should always be able to activate the powerful bonus effect on this minion. Blink Fox: One of the minions that enables you to steal cards from outside your deck. It has decent stats for the cost, too! Edwin VanCleef: As you can play so many cards in a single turn this can end up as quite a hefty minion that your opponent may struggle to remove. Raiding Party: Some excellent card draw as it specifically targets Waggle Pick and some strong Pirates in the deck. Dread Corsair: As Waggle Pick will always have a minimum of four Attack, this minion will always cost nothing when it is equipped allowing for a solid tempo play. Vendetta: A free four damage if you’re holding a card from another class, which represents some incredible value considering how often you’ll meet the requirement. Waggle Pick: This weapon already offers decent damage but you can make full use of the bounce effect on some key cards such as Leeroy Jenkins to use their burst damage once again. Captain Greenskin: A robust minion that also offers a handsome weapon buff. Can be bounced back to your hand to apply it again. Leeroy Jenkins: Play it for the burst finish potential. You can run Reckless Rocketeer if you need a cheaper alternative. I’m getting trounced with this deck against every priest, to the point I just auto concede at turn 1. Throw me a bone here!